Just 10 minutes from Lake Mead, a lushly landscaped paradise awaits! 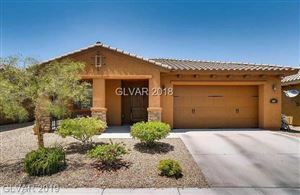 With the security of a lavish, guard-gated entry, Tuscany Village in Henderson provides the safety and tropical destination feel you are looking for! Your home site could boast sweeping golf course and mountain views. If the lights of the Las Vegas Strip are more your speed, you can step onto your balcony or patio and take in the green of the golf course while enjoying the twinkle of the Las Vegas skyline. Tuscany Village is a community originally developed by local builder Jim Rhodes. The Tuscany golf course is an 18-hole, 6906 yard, par 72 championship course designed by Ted Robinson. The 526 acre master plan is located on the northeastern edge of Henderson, just minutes away from McCarran Airport, the Las Vegas Strip and the Lake Mead Recreational Area. The communities inside Tuscany Village offer one, two and even three story homes with a wide variety of price ranges, and home sizes that range from 1271 square feet to more than 4000 square feet. There are both new and resale homes available for sale, and at completion Tuscany Village will have approximately 2,400 homes and almost 7,000 residents. The builders currently offering new homes are Century Communities (formerly Dunhill Homes) and Lennar. Residents can play a championship golf course, work out at a 35,000-square foot recreation center, and walk or bike for miles among the many trails offered by the City of Henderson. With new floor-plans starting in the mid $100s up to the mid $400s, and re-sale into the high $600s, there are many opportunities to find the perfect home.